In stainless steel at controlled temperature of 24°C-27°C (75.2°-80.6°F) with 12/16 days of skins contact. 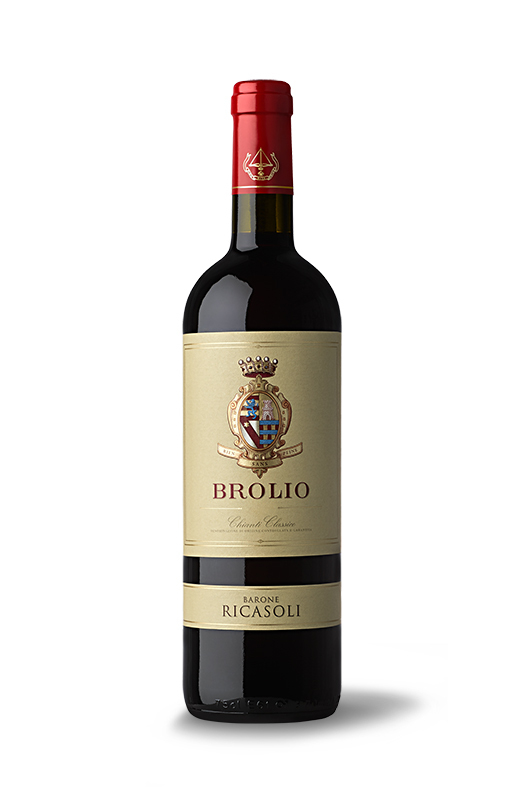 The vineyards which produce the grapes for the Brolio label are planted in five geological areas at an elevation between 290 meters to 500 meters (853 to 1, 640 feet high) and with different exposures. Vineyard soils vary greatly but all are strewn with stony fragments adding mineral richness. This exalts the structure of the Chianti Classico vintage. This was an atypical year, perhaps unlike any ever registered. Winter was fairly mild and warm. The frost that arrived on 18‐20 April, the drought, the extreme heat that lasted for more than two months, all scorched the earth and the grapevines. For this reason, the leaf removal typically carried out before grape harvest was avoided; instead, the grapevines were left “untidy”, only slightly trimmed, to protect the fruit from the rays of the sun. At the end of August and the first ten days of September, rains came and the temperatures dropped drastically, all the way to the seasonal average. Intense ruby red color. On the nose, clear aroma of red fruit, strawberry and iris. Voluminous in the mouth, with good character, mirroring our territory. Finish with good persistence and pleasurableness.